[CES 2012] Capture Camera Clip System Is A Cameraman's Best Friend | OhGizmo! So I’ve been walking around the floor here at CES with a camera strapped to my neck and I just discovered a better way to do things. The Capture Camera Clip from Peak Design is a Kickstarter project that not only got fully funded last summer, but was the second most successful on the site to date. 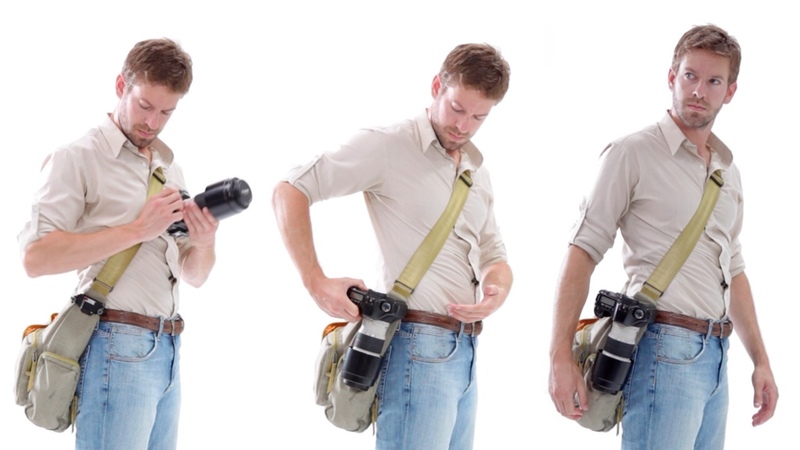 It’s a metal clipping system that features two parts: a clamp that attaches to either your clothing or bag, and another to your standard camera mount. Then it’s a matter of just holstering your device. There’s a trigger that releases it and the camera can be inserted in four different orientations. A representative from the company wandered into the press room, just now and gave me one. I’ve been trying it out and it’s pretty darn cool. It’s $79 and is available now. That looks fairly comfortable. Thanks for the share.